Someone I follow on the Twitter (follow me here if you want) posted a link to a slideshow about beauty products that "you never knew existed, but might actually need." Most of them I've heard of, some I hadn't...but one just stopped me dead. I'm not known around here for finding the best deals on things, that is Amanda's department. But I hate spending money for things that I can buy far cheaper elsewhere. This product was one of those things. I do kinda love that it's pink. It is a spatula for getting to that hard-to-reach product in those obnoxious little pots. Which, by the way, I never hated so much before I let my nails get long. For $9.99, you get two of them measuring seven and ten inches long, respectively. I suppose that could be handy for scooping lotion of out big bottles. I dunno, I have always let gravity do the heavy lifting in that department. It's also dishwasher safe, which is nice. 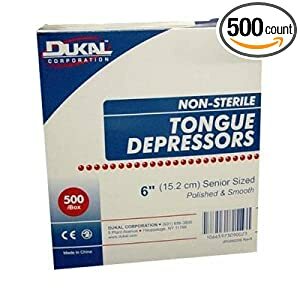 This product is available at Walmart, so I might have to keep an eye out for it. I'm curious. A set of four teaspoons, the kind with the long handle. 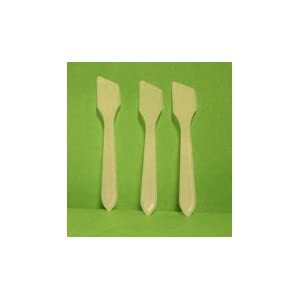 A pack of 50 cosmetic spatulas. Basically, what I'm saying here is this: This product is completely practical and usefull. I can see a thousand things that it could be used for around my own home. But in the interests of not wasting money that could be spent on polish or make-up, investigate some cheaper options. They are definitely out there. Also: cotton-swabs. Use them for that all the time. Even better, you can use them for scooping AND application. oooh I never thought about that. But yeah, I bet they would work equally well.